The #ELT chat topic on Wednesday, 15th February was on Monitoring, Feedback and Debriefing: when and how to do it. These issues in teaching are of equal importance just as practising any other skill in class. As this could be a sensitive issue, the teacher has to be really careful how she approaches the students and has to consider also the type of error she/he wants to deal with. The following tweets obviously reveal that it doesn’t constitute a separate stage in a lesson but it is there all the time! In 1 to 1, I have to make sure there are times I’m not monitoring them. Should we always include a feedback slot? What happens if the teacher, intentionally, doesn’t wish to give feedback? Many teachers admit that the students think their teacher is a bad one if she/he doesn’t correct them. Learner training is the key. 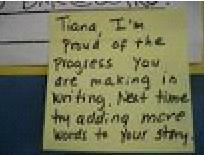 The teacher should let students know when and how they should expect their feedback from her/him. if students make the same error, you should make them aware of it. What can feedback focus on? vocabulary/collocation input and reformulation to sound more natural. good things/ideas the teacher has heard. save feedback for subsequent lessons; sometimes it devalues the activity to have feedback after a good discussion. if it’s a role play, the teacher can take the role of the secretary and record rather than correct and feed it back. the teacher records his/her feedback on his students’ written work and students listen to their teacher talking about their work. the next day they may make the same mistakes again. So the question is raised: If the need arises isn’t it better to deal with that whilst it’s still relevant at the moment? ‘The hardest thing is what kind of feedback to give’ a teacher admits. Another teacher says ‘when focusing on fluency in speaking, students tell me I don’t correct enough’. Don’t these questions bother us all the time? sometimes it can disrupt the flow of the lesson, if speaking leads to something else. create a mixture of wrong and right sentences to elicit some of the mistakes. This involves all students and it’s a way for the teacher to check how well they’ve understood things. the teacher should give clear guidelines because students tend to spot errors but find it hard to see what’s good in their peers. Isn’t also body language a way to give feedback? ‘Informing people about their experience or allowing them to talk about it’ according to. Wikipedia. It can be also very useful for needs analysis, syllabus evaluation and lesson planning. give feedback on the Friday to see if Monday needs have been achieved. As you have noticed, I haven’t mentioned any names as everyone contributed to the discussion equally! 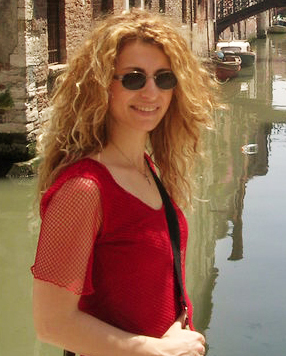 Toula Sklavou has been a teacher of English since 2002. She is a Cambridge DELTA Diploma holder and has also studied translation; she holds an MA in Translation from the University of Surrey, UK. She has worked mainly in Greece but more recently has also been teaching summer school in the UK.